Viking Ocean Cruises has announced that Captain Gulleik Svalastog will be at the helm of its first ocean ship, the 930-passenger Viking Star, when it sets sail on its maiden voyage in April 2015. An experienced cruise captain from Viking Cruises’ homeland, Norway, Captain Svalastog, will command and oversee the operation, crew and safety of the ship in its maiden season in Scandinavia and the Baltic; and the Western and Eastern Mediterranean. Svalastog brings 45 years of sailing experience to Viking Ocean Cruises and has held a variety of senior ship management positions including as as superintendent for Norwegian Cruise Line and Crystal Cruises and as Lead Auditor for Det Norske Veritas (DNV). His most recent position was as captain of Color Line Cruises. 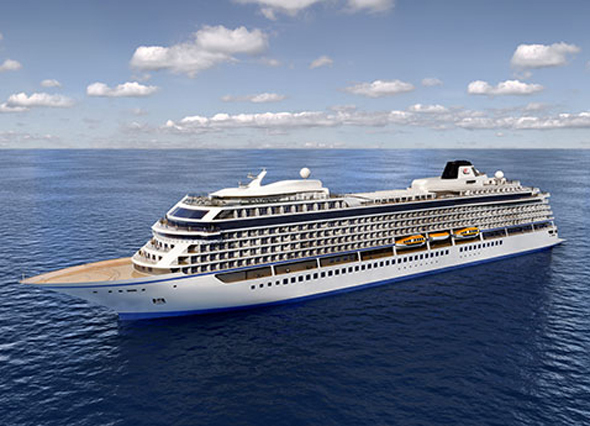 Svalastog is currently part of the team overseeing the final stage of outfitting and interior build-out for Viking Star, which touched water for the first time in June 2014 at Fincantieri’s Marghera shipyard and will be christened in May 2015. No mobile device? Purchase directly on Zinio for your desktop!